We were hoping to leave town (and a noisy campground with a busy road running behind it) today, so we left early and stopped at cranko motors first. They had a sign up at the backpackers and it sounded like a reputable place. We need to replace the rear half-shafts, get the oil changed, and I’d like to have the leak in the front diff repaired so I can stop checking it, filling it, and worrying about it all the time. I didn’t get a good feeling from the place (cranko) and they weren’t able to give me a price quote until the boss got in. We went to the bank next to try to get a cash advance on a VISA card (there are no international ATMs in Malawi). It took an hour to find out that the card was declined. We tried another card but weren’t able to get enough out to pay for car parts as well as food and fuel. After lunch at Nando’s we phoned the credit card company to get our card re-activated. It was 230 when we went back to the bank to try again and they said they’d try to complete the transaction before they closed at 330. We killed an hour reading and eating ice cream, then returned to the bank. Success at last. We bought a new left-rear half-shaft and some groceries and went back to the camp. Witt set about replacing both half-shafts and tightening the hub on the left side which had come loose again. By the time I finished it was dark so rather than cook we ordered an excellent beef curry from the restaurant. After dinner we sat in the bar reading where we met a South African guy who had found a loophole in South Africa’s 100% import duty on cars and was on his way down from Tanzania with a second hand Toyota imported from Japan. We also met an American medical student studying traditional medicines. 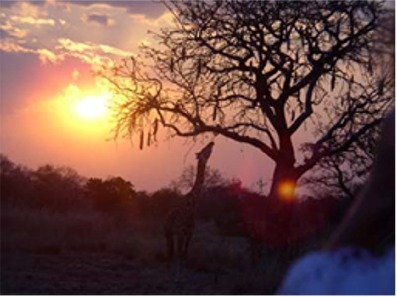 We got an email from Urs and Elza whom we are planning to meet in South Luangwa National Park (in Zambia) in a few days. We’re looking forward to seeing them again. Witt got up early and spent the morning checking out Rafiki’s underside looking for loose bits. I tightened one of the bolts on the A-Frame that keeps coming loose and tried to tighten the panhard rod to no avail (the steering shudder at 50mph has returned). I topped up the front differential and went for a shower. We stopped at a petrol station on the way out of town for fuel, a liter of motor oil, and gear oil for the front diff. We crossed the border into Zambia at about 1130. We stopped at the shoprite in Chipata for food, which is cheaper here than in Malawi. We found an ATM and stocked up on Zambian kwacha for the inevitable park fees. We left the tarmac shortly after lunch and spent the next 3 hours on a very bad road, arriving at the campground at around 430. 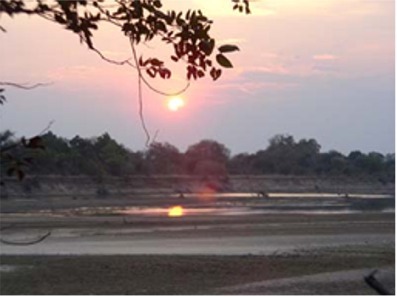 The camp is beautiful, set on the Luangwa River just outside the park, so we can stay here without paying park fees. We enjoyed a nice sunset, complete with elephant and giraffe grazing on the opposite bank. We’re about 500m lower and the temperature is much hotter than in Lilongwe. 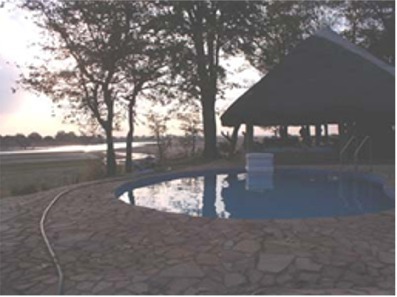 Eventually it did cool off a bit and were listened to the grunts of hippos as we fell asleep. What I'm about to do is VERY DANGEROUS. If this stick breaks, it's all over! We slept in this morning, getting up when the tent got too hot. After breakfast Jen washed some clothes and chased away baboons while Witt read about the Malawian maize scandal in the local paper. Apparently the maize harvest in Malawi failed a couple of years ago due to drought. At the same time the now ex-president and his cronies sold off the country’s reserves of maize and pocketed the cash, leading to widespread famine. We spent the rest of morning relaxing in the shade, Jen armed with binoculars and her wildlife book, spotting numerous birds and other creatures. After lunch we headed for the swimming pool to cool off, and spent time reading. At 4pm we left for a guided night drive. The guide had a powerful spotlight and we saw several species including two mongoose (mating), jennets, and a pride of six lion. 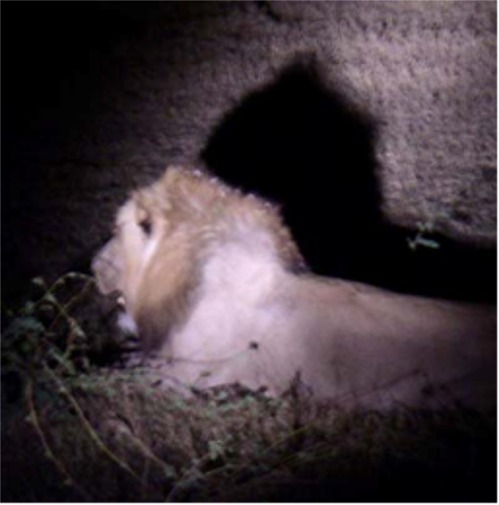 One of the lions made a half-hearted run at a nearby puku, but it was clear she was just testing for weakness. After returning to camp at 830 we made a quick dinner and went to bed. We awoke early and were in the park at 6 am for a morning gave drive. We saw a couple of lions and lots of birds and antelope before returning to camp for lunch. We talked with Chris and Kate, an Australian couple working in Mozambique for awhile. A hippo killed in a fight with another hippo was being devoured in the river, and we watched through binoculars as a female lion waded out to see if she could get a free meal. She watched for awhile, but decided not to brave the writhing crocs. We were very excited to see the pinzy drive up after nearly four months since we last saw them. We greeted Elza, Urs, and Bayo, and spent the rest of the afternoon sitting around the pool sharing stories. 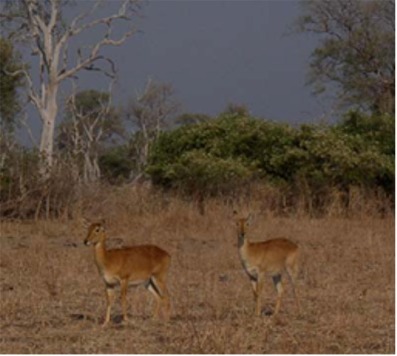 They would like to travel with us for awhile, but are keen to go to Zimbabwe, which hadn’t been our plan. Jen and I plan to discuss it tomorrow and sort something out. The lioness came back in the afternoon once the crocs had had their fill and all afternoon we were able to watch her eat from the swimming pool. We had a lazy morning, sitting around chatting. Jen and I talked for awhile and decided to join Urs and Elza for about a month. 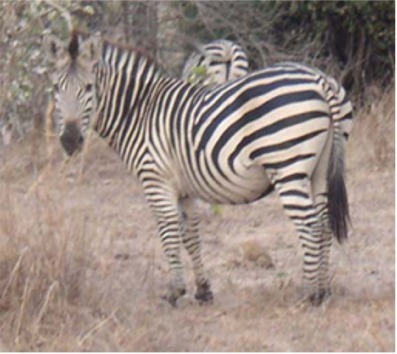 We’ll head back to Lusaka via different routes, then together into Zimbabwe via Lake Kariba to visit Mana pools national park, some lakes in the center of the country, Great Zimbabwe national monument, and a national park in the east bordering Mozambique. This will probably mean that Jen and I won’t get a chance to go to Madagascar, but the chance to travel with Urs and Elza for awhile is too good to miss. We went for a night drive in the evening, spotting jennets, servets, and a few lion. We also saw a herd of several hundred buffalo crossing the road to drink, which was quite impressive. A quick dinner of instant soup when we returned was all we could manage before going to bed. We set off this morning at about 530, Urs and Elza planning to drive through the park to the great north road, Witt and Jen heading south to the great east road. We plan to meet in Lusaka in 2-3 days. We spent the morning on a game drive in the park. We spotted a porcupine early, and lots of red bee eaters, a species we hadn’t seen before. The tetse flies were worse today, and we headed back to camp at about 10am. Witt jacked up the car and discovered that sure enough the left rear hub is loose once again. I made it much tighter this time, hoping it will stay put. We spent the balance of the morning reading and relaxing.